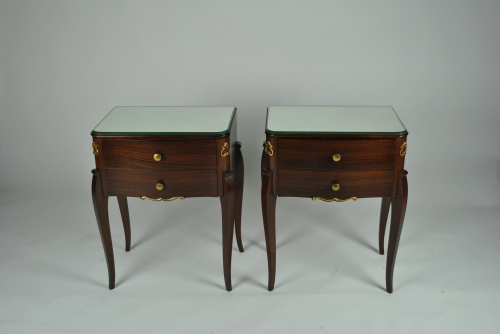 Beautiful pair of French bedsdie tables from the 1940`s. Attributed to Jules Leleu. Shaped legs, rosewood body and drawers, highlighted with brass decoration and original mirrored glass tops.